The Troop 1028 Troop Committee is shown below. Just click on the email link to send them an email. 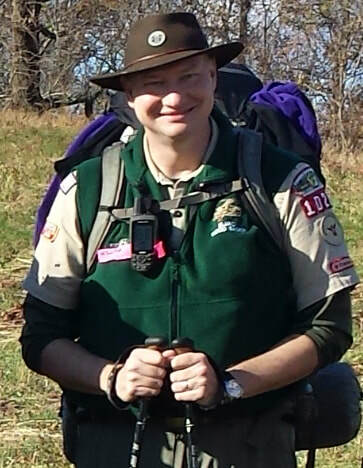 Council Silver Beaver Award 2016, Eagle Scout, National Jamboree Merit Badge Staff Member - Astronomy, Wood Badge Staff Member, Trained BSA Leader, Wilderness First Aid Certified, District Award of Merit 2011, Sea Base Participant 2015 and 2017, Philmont Participant 2016. Former Group Fitness and Kickboxing instructor. Loves hiking, running, weight-lifting, kayaking, camping and pretty much everything outdoors. If you rest - you rust! Best job ever, being a Mom! Interested in advancing scouts working on the Hornaday Award as they also work on Eagle Scout. Eagle Scout w/ Palms 1972, Trained BSA Leader (Wood Badge 3B), District Award of Merit- 2000 (East Carolina Council), Order of the Arrow Brotherhood, Attended BSA National Jamborees - 1973, 1985, 2010, 2013, 2017 Jamboree Medical Staff, Merit Badge Counselor, Global Scouting Experience.